World Tiger Day 2018: International Tiger Day is celebrated on this day to increase awareness on tiger populations throughout the world as well as the challenges and successes tiger conservationists face today. At a time when safe space for wildlife to thrive is being rapidly encroached by human activities, the population of tigers has become a cause for concern across the world. International Tiger Day is celebrated on this day to increase awareness on tiger populations throughout the world as well as the challenges and successes tiger conservationists face today. Tiger conservationists and organisations throughout the world have taken to social media to voice their thoughts on the state of tiger conservation today. The World Wide Fund for Nature or WWF, in a report, shares some interesting facts. In 2016, the WWF shared good news, saying the wild tiger population was increasing. They said the wild tiger count went up to 3,900. 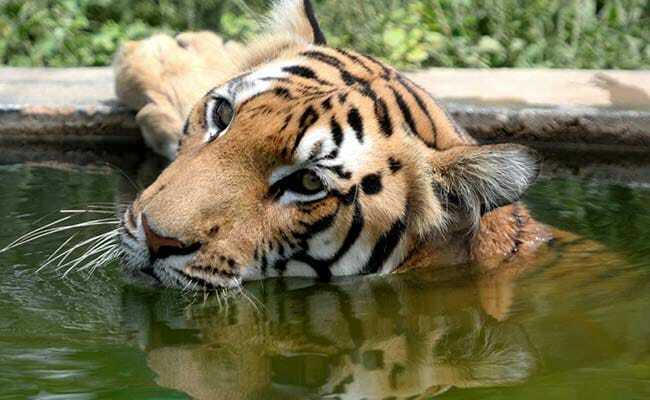 The report also said that the Tx2 initiative, a global collaboration of 13 tiger range country governments and international corganisations, had committed to doubling the number of wild tigers by 2022. India, which holds a vast tiger population, has launched what the government claims to be the world's largest wildlife survey effort. The All-India Tiger Estimation, 2018, is a census exercise to estimate the number of tigers present throughout the country presently. The census exercise will use the latest technology, including Monitoring System for Tigers-Intensive Protection and Ecological Status or M-STrIPES application, for collecting, archiving and analyzing data. The application will record data on signs and animal sightings with geo-tagged photographs. "With increased camera trap density and the use of android technology, estimates arrived at are likely to be more robust - both in terms of accuracy and precision," said a Press Information Bureau press release on the census. The PIB press release also said nearly 15,000 cameras will be used as compared to the 9,700 cameras used for the last census in the year 2006. India conducts a census to assess tiger population every four years. The cycles of the estimation have already been completed in 2006, 2010 and 2014. These estimates showed there to be 1,411, 1,706 and 2,226 tigers in 2006, 2010 and 2014 respectively. This year, once the census is completed, tiger conservationists throughout the year, will hope that tiger numbers will increase in India, which has the most number of tigers in the world.